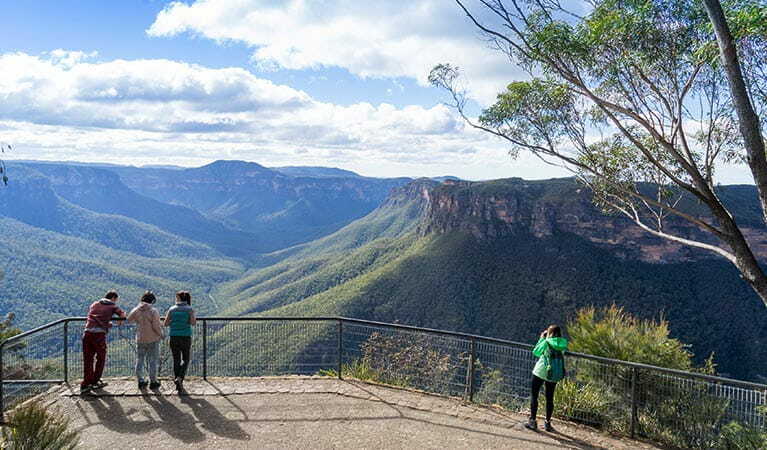 This driving tour of Blackheath lookouts, including Govetts Leap and Perrys Lookdown, highlights some of the best scenic views and waterfalls in Blue Mountains National Park. 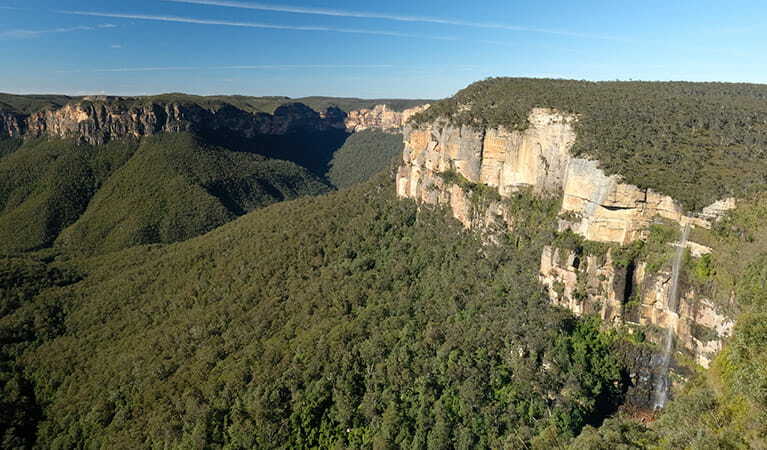 For more ideas on driving trips, visit the Greater Blue Mountains Drive website. For some of the most awe-inspiring mountain, valley and waterfall views in the Blue Mountains, you can't miss this driving route. 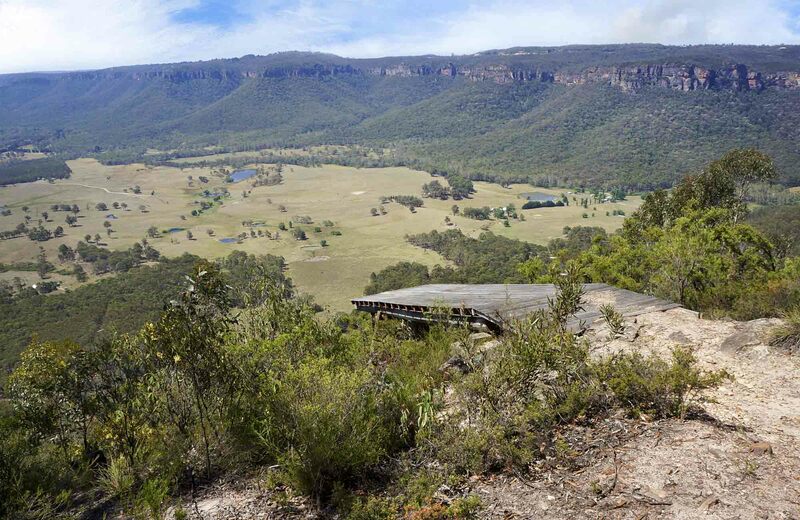 Taking in an amazing cluster of Blackheath lookouts, this scenic driving route is a great introduction to the spectacular Blackheath area of Blue Mountains National Park. It's a hassle-free driving tour for photography buffs and visitors of all ages. 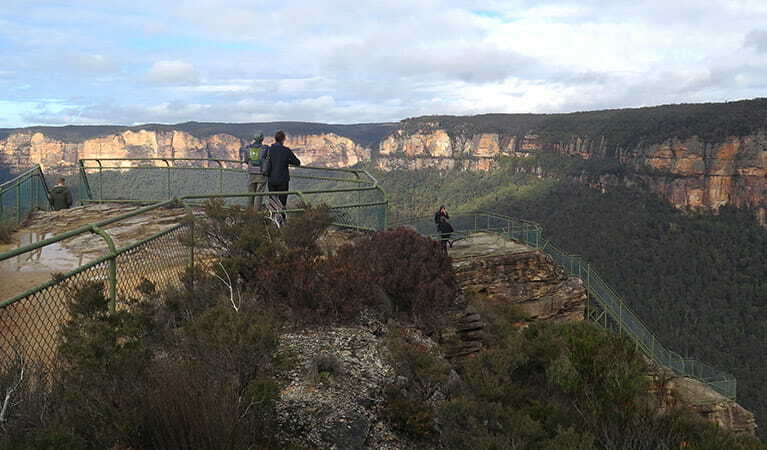 From Anvil Rock lookout and Wind Eroded Cave, you can gaze across to Grose Gorge and Mount Banks. 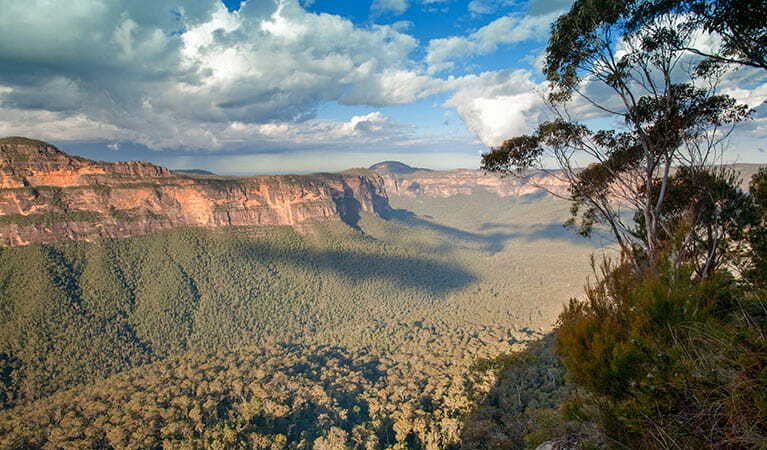 Perrys lookdown is arguably the best place to see the impressive Banks Wall, with Mount Hay in the distance. 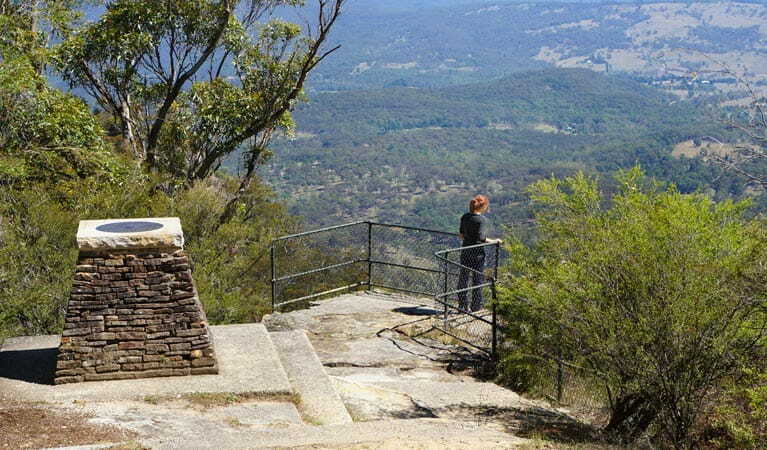 At wheelchair accessible Govetts Leap, admire the tallest single drop waterfall in the park, while Evans lookout and Pulpit Rock lookout offer big valley views. 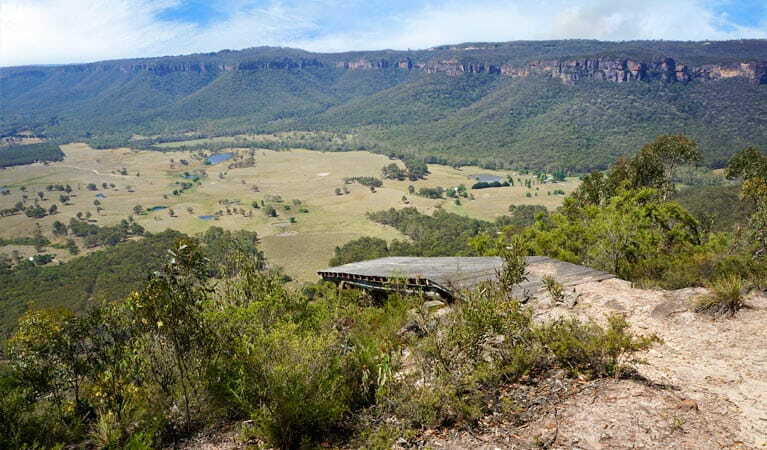 On the western side of Blackheath, Hargraves and Mount Blackheath lookouts (both managed by Blue Mountains City Council) offer extensive views from Shipley Plateau and the Megalong Valley. You might even see hang gliders gracefully surfing the skies on the westerlies. Choose your spot to unpack the picnic hamper and enjoy a relaxing lunch with million-dollar views from any one of the vantage points. For more information, drop into Blue Mountains Heritage Centre.